A small research study at Baylor University has identified a genetic difference between veterans who developed symptoms of Gulf War illness after deploying to that 1990-91 conflict and those who deployed but didn't get sick. The finding — touted as the first "direct evidence" that genetic factors may contribute to a veteran's risk for Gulf War illness — links the use of anti-nerve agent pills and troops' genetic makeup. Baylor University Institute of Biomedical Studies researcher Lea Steele and others examined the genetic profile of 304 Operation Desert Shield and Desert Storm veterans, including 144 former troops who had Gulf War illness symptoms and 160 who did not. The scientists found that veterans with a gene variant that complicates their bodies' efforts to metabolize chemicals in anti-nerve agent pills — pyridostigmine bromide, or PB — were up to 40 times more likely to have Gulf War illness symptoms than those who took the pills or were exposed but had a different gene variant. Steele said the findings are preliminary but point to a physical reason why as many as one in four troops who deployed to the region fell ill while others came through fine. "Scientists have long thought this might be because of some genetic interaction. We know different people break down toxicants differently based on their genotypes," Steele said. Researchers looked at genetic variants that "program" a body to break down certain chemicals found in PB, Sarin nerve gas and some pesticides. In high doses, these toxins can be fatal, but anti-nerve agents such as PB contain low levels of these chemicals, which bind with nerve receptors to shield an individual from the effects of a nerve agent. The research found that those with a less active genetic variant for the enzyme butyrylcholinesterase were more likely to have Gulf War illness symptoms. "If you look at sick veterans versus healthy veterans ... the number of people who had the gene variation was not different. But when we looked at exposures, that's where we saw the big difference. That tells us its a gene-environment interaction," Steele said. 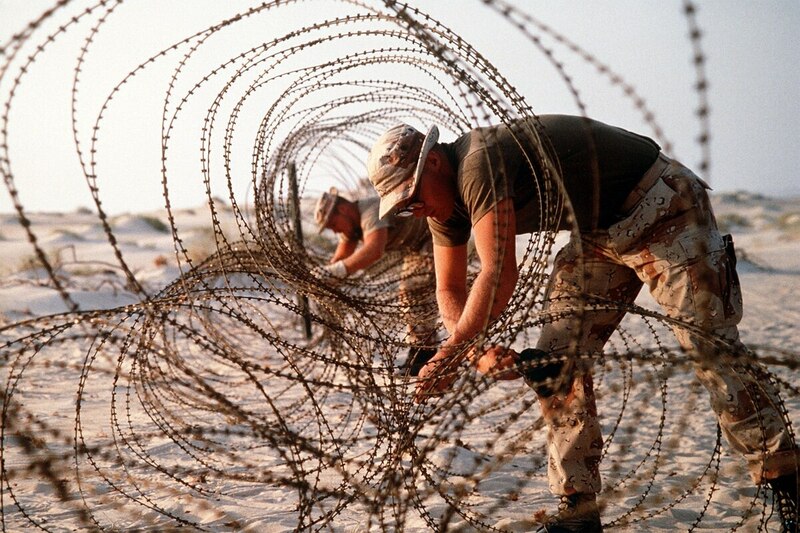 An estimated one-quarter of the 700,000 U.S. troops who deployed to the Persian Gulf to liberate Kuwait have medical symptoms related to service in the region, including muscle and joint pain, fatigue, headache, gastrointestinal problems, memory issues, rashes and respiratory illnesses. The exact cause of the symptoms has not been determined, although previous research has indicated that PB pills, pesticides, a contaminated batch of the anthrax vaccine and/or chemical agents may play a role. Steele noted that the findings of the new study are preliminary and must be corroborated by larger, follow-on research. She also said the study indicates only that veterans with the gene variant may be at risk, but other factors — and other gene variants — may contribute as well. "If this is corroborated, it would tell us that acetylcholine is part of the biological underpinnings of this illness and could point to some treatment options," she said. VA officials on Monday described the research as "intriguing" and "very useful." Retired Army Col. (Dr.) Ralph Erickson, director of VA's pre-9/11 environmental health program, said VA still has many questions about the causes Gulf War illness, but the study adds to the body of existing research and may help underpin future projects. "Given that some of the symptoms that are experienced by Gulf War veterans involve the autonomic nervous system, we think there could be great potential for this study to lead to a greater understanding to what causes symptoms," Erickson said. Dr. Victor Kalasinsky, program manager for VA's Gulf War research program, said VA possibly could sponsor efforts to corroborate the findings. VA already is "in discussions" with other research groups in doing genetic research for exposures, he noted. Kalasinsky said VA's current research on the causes of Gulf War illness and treatment of symptoms has yielded promising solutions involving light therapy, magnetic resonance, exercise, and complementary and alternative therapies to relieve symptoms. "It's extremely intriguing to see this genetic marker that we might take advantage of, too," Kalasinsky said. VA encourages former troops with Gulf War illness symptoms to file claims for health care and benefits. But ill veterans say the department is dismissive of their complaints and has actively sought to undermine their efforts to get treatment and compensation for their disabling diseases. Last year, data provided to Congress indicated that nearly 80 percent of the 54,193 claims filed for Gulf War-related illnesses were denied; in 2011, almost half were approved. The figures came with several caveats: They do not include compensation claims from Gulf War-era veterans who became sick while on active duty. Of those denied service connection for Gulf War illness, 52 percent receive compensation for another service-connected condition. Erickson, himself a Gulf War veteran whose experience includes commanding the Walter Reed Army Institute of Research, said that given the study's limitations, it would be premature to assume the results would be useful to support disability claims. The research was published online Jan. 9 in Environmental Health.